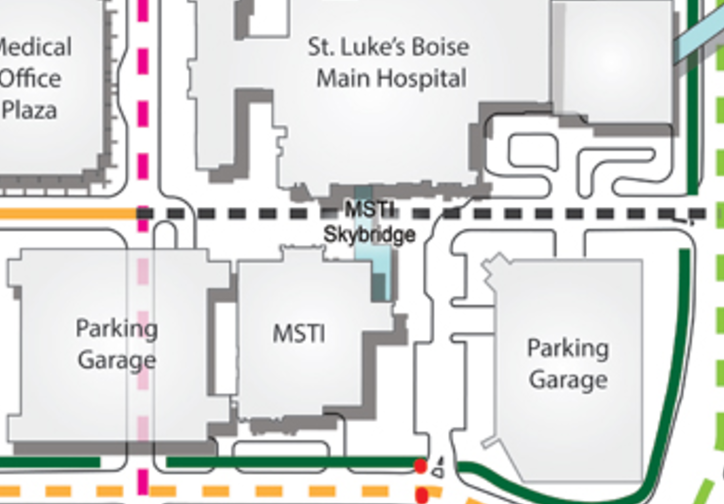 St. Luke’s Health System and the City of Boise continued to tangle over the future of Bannock Street through the downtown Boise hospital campus. During a three-day process designed to resolve conflicts and map out solutions, the two sides worked to build consensus on a wide array of issues regarding the upcoming revamp of the downtown hospital. The two sides were joined by members of the community – including East End neighbors, an official with CCDC, a high school student and commuters. During the sessions, St. Luke’s and City of Boise officials were able to find common ground on many design issues during the sessions – but conflict arose several times during a Thursday session attended by BoiseDev about the idea of allowing vehicles to again travel on Bannock St. as they did before 2004 when a single block of the street near 1st St. was closed to cars. 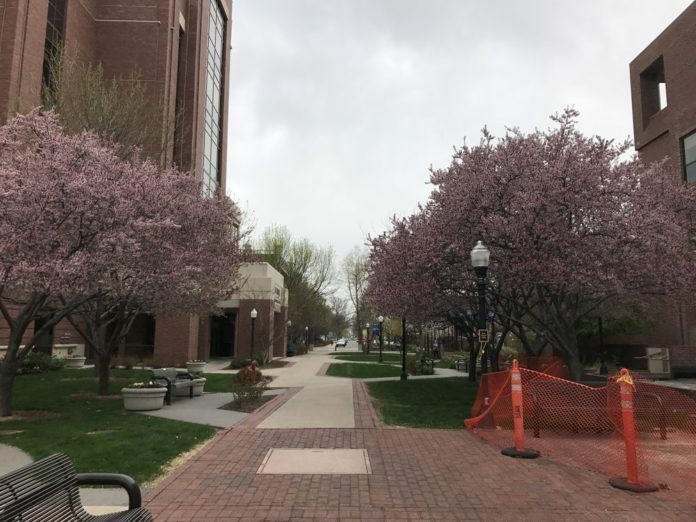 In the spring of 2016, the City of Boise agreed to allow for the closure of nearby Jefferson St., after hearing hours of testimony over several days from folks both in favor of and opposed to the closure. The hospital says it needed to close Jefferson to facilitate a large expansion project – but many neighbors in the East End complained it would cut off the only east-west access route through the entirety of Downtown. Bannock St. between MSTI and the “Main Hospital” is current closed to all but pedestrians and cyclists. City officials want to see it opened to include vehicle traffic. As a compromise of sorts, Boise City Council required St. Luke’s to give it an easement down Bannock, which is currently closed to traffic. How that new crossing will function in the future hasn’t yet been determined – which is leading to the current conflict. Boise Mayor Dave Bieter strongly advocated for opening up the street to not just bikes – but cars. His central argument is limited vehicle use would boost the safety of cyclists on the street. “I ride this all the time and I have to get off and walk it because no one is cued to a bicycle,” he said. City council member Elaine Clegg agreed. The mayor also noted that putting together a plan that gives cars access to Bannock would help with public perception after the contentious public testimony last year that led to the approval of closing Jefferson. Bieter says he thinks his constituents want to see a way through the campus with the pending closure of Jefferson. Peter Lawley with TDG General Contractors, who was hired by St. Luke’s to facilitate the discussion – asked if there was a way to get that goodwill without allowing cars to travel the stretch. City officials said that areas like the Basque Block and 8th Street between Main and Bannock show that allowing minimal traffic can lead to a vibrant area with mixed-use. Moore said she thinks that the community puts as much emphasis on traffic through campus as the ability to have a calm place. “I struggle with this comparison to the commercial district. People have an expectation of safety when they come on our campus and they need to be safe when they do so,” she said. Bieter and Clegg pointed to a new green space that will be created on Jefferson when that street is closed as an area where those types of activities could take place. “I think it’s unfortunate to limit park space to one place,” Moore said. 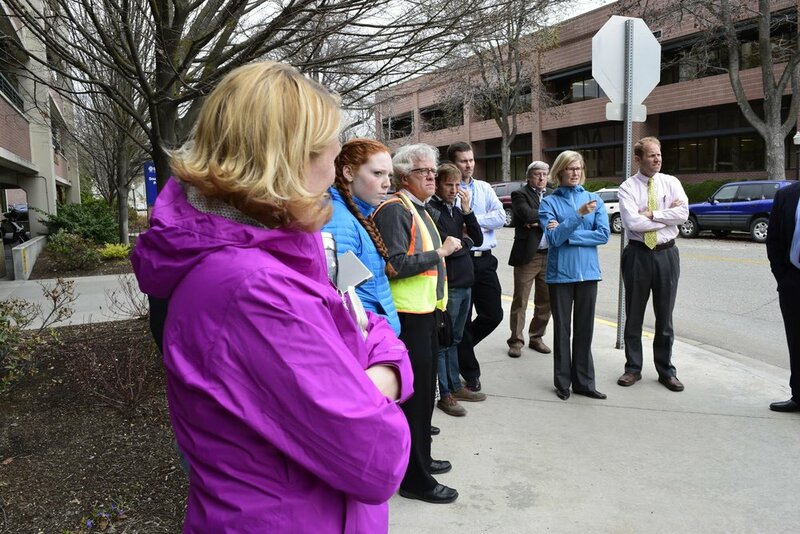 St. Luke’s officials pointed to the location of Bannock on the campus – with employees, patients and others using the current plaza to move between the main building and the south tower which would create new car/pedestrian conflicts if the stretch were opened up. Bieter thinks all the goals can be accomplished. Clegg advocated in favor of opening the street to cars – and then gauging the impact. Bieter closed on a conciliatory tone and noted that the two sides made lots of progress, even though there was no agreement on the vehicle issue. Moore also noted she found value in the dialogue. “It really is St. Lukes’ desire to be a good neighbor. I think we’ve come to a good spot today. We don’t have to agree on everything, right? But we do have to agree to dialogue and share. Lawley says Thursday’s meetings helped move the process forward.